McGuirk Media is a media and technology development company focused on exploring and forming new business models in the media and satellite industries. Founded in 2010, we pursue new and innovative applications aimed at enhancing and integrating traditional television advertising with new OTT video and addressable advertising. Our team is pioneering new technologies and business models made possible with these breakthroughs. We partner with entrepreneurs to help develop their ideas and bring their new ventures to market. McGuirk Media has worked with a number of new ventures in DTH Satellite, Cable TV, VOD, Ad-tech and addressable advertising. These are all markets where our team has deep expertise. In addition to our work with early stage companies, we have also worked with major media and satellite companies on high profile technology projects and new market entry strategies in expanding digital video, VOD and OTT video markets. Bryan has spent the majority of his management career operating media and satellite businesses. His deep media experience ranges from launching TV networks around the world to launching media satellites into space. 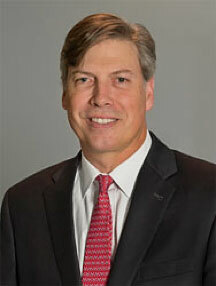 Most recently, Bryan served as Chief Commercial Officer for satellite servicing company Globecomm. In this role, Bryan worked with media companies like Showtime, QVC and NBC on mission critical digital media payout and transport services. Prior to this role, Bryan was President of Media for SES Americom where he launched HD satellites for US media leaders Viacom, Discovery and NBC among many others. At SES, Bryan also partnered with cable industry leader Comcast to launch its HITS Quantum HDTV service and, with Dish TV to develop and launch 3 of its DTH satellites. Prior to SES, Bryan was President of Programming and Advertising for interactive TV leader Wink. In this role Bryan led groundbreaking productions, including interactive presentations of the AMA Music Awards and BCS College Bowl Games, with Coca-Cola and Ford respectively. Bryan’s earlier career included over a decade in business development and planning roles with NBC and Turner Broadcasting in the US and Asia Pacific. McGuirk received his MBA from Emory University in Atlanta, Georgia, and his BA from Union College in Schenectady, New York. (c) 2019 McGuirk Media. All Rights Reserved.